Hosting a Zombie Walk, Zombie Run or Halloween Party? 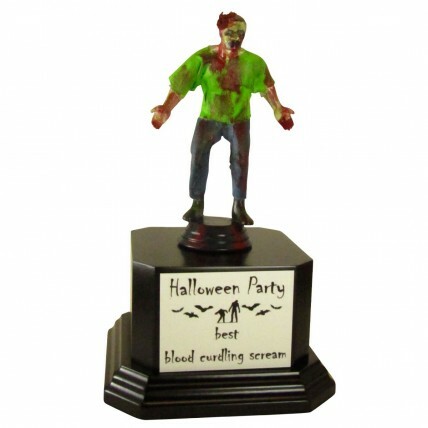 Award your winners with our Walking Dead Halloween Zombie Trophies! Hand painted by our in-house graphic designer Lori Nichol, these one-of-a-kind zombie trophies feature a zombie with exposed brains and blood on his shirt attached to a square black base. Your customized message is printed in color on a metal plate and attached to the base for FREE! You won't find these handmade Walking Dead trophies anywhere else, a Trophies2Go exclusive! Each Un-Dead trophy is unique because hand-made in Washington State. 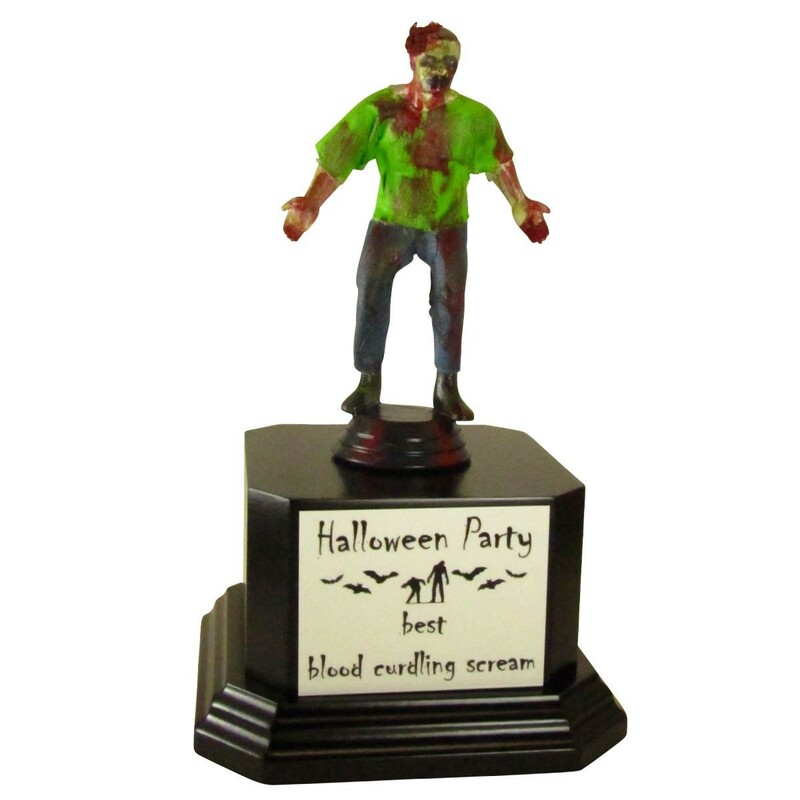 Limited quantity of these Halloween trophies, please call for availability.